Hashtags are everywhere nowadays. They help social media users track topics, categorise their updates, and even keep up to date with the latest developments in important news stories. They are a tool which helps connect users on platforms with millions of registered accounts. Hashtags come in the form of words prefixed with the symbol “#”. They were originally used on IRC to denote network wide topics, but since the rise of Twitter they have spread on the internet and can now be found everywhere, including on websites which do not have the technical capacity for hashtag use. The introduction of the hashtag on Twitter was first suggested by open-source advocate Chris Messina in 2007, and its functionality and simplicity quickly ensured its popularity with the platform’s users. The first notable appearance of the hashtag was during the San Diego wildfires in October 2007, when Californian Nate Ritter used #sandiegofire in his updates. Since then, hashtags have been used to bring together tweets about important national and international events, such as the Arab Spring or even the Icelandic ash cloud which caused travel disruption in 2010 – the cleverly chosen #hashtag. 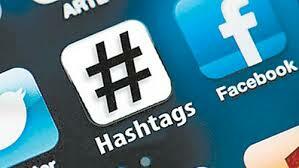 However, the main role of hashtags on Twitter is to help users get their messages out to the rest of the community. When people include a hashtag into their tweet, they make that tweet easier to find in searches. Furthermore, clicking on a hashtag allows users to see all other tweets marked with the same keyword. 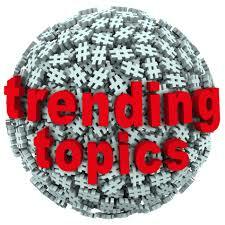 As hashtags became more commonly recognised and used, Twitter introduced “Trending Topics” in 2010. This feature is made up of localised lists of common discussion topics, based on popular social media hashtags or keywords found in Tweets. To get a hashtag trending, it is important that everyone who uses it spells the word in the same way. The consensus needed to create a popular trend on Twitter further reinforces the community spirit among certain user groups, such as music fans who often trend hashtags to celebrate birthdays or achievements. Popular TV shows also encourage their audience to comment on the programme by using the official hashtag, which helps viewers connect with each other over social media, but also propels the name of the show on the Trending Topics list. Many business owners have found hashtags to be important marketing tools, and some big names often run competitions encouraging Twitter users to share stories using a certain hashtag in order to get it trending. Twitter is not the only platform to use hashtags. They also play an important role on image sharing social network Instagram, where people hashtag the subject of the photo, e.g. #landscape. But the wonderful thing about hashtags, although some internet users find this rather annoying, is our habit to use them on websites that don’t even have the functionality for them. They are now used to denote feelings or tone, and quite a lot of people choose to enrich their Facebook updates with hashtags like #firstworldproblems. It’s becoming clear that they will have a greater impact in our ways of communicating online than we may have thought only a few years ago.